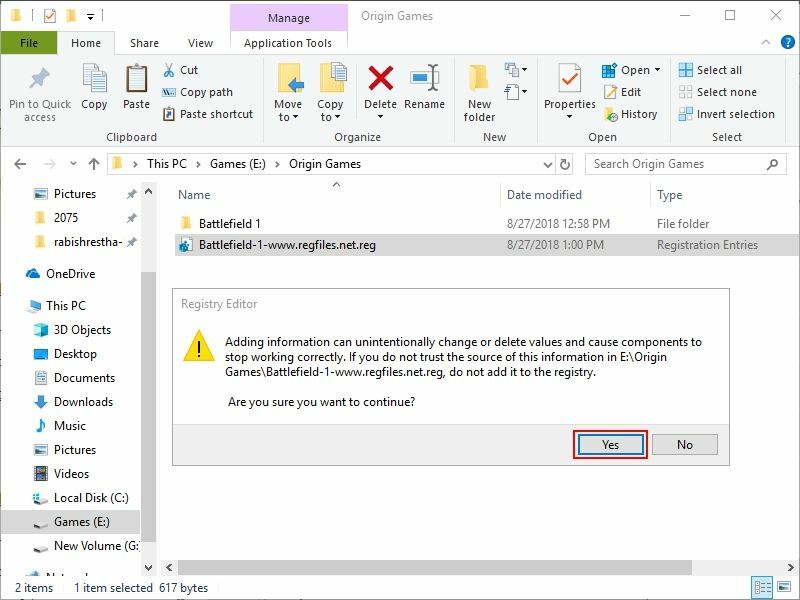 Origin games require game registry to be present for each installed game on the operating system to work properly. In case for full diskless or half diskless setup, if the game was installed on server, then the game will show "Download" instead of "Play". 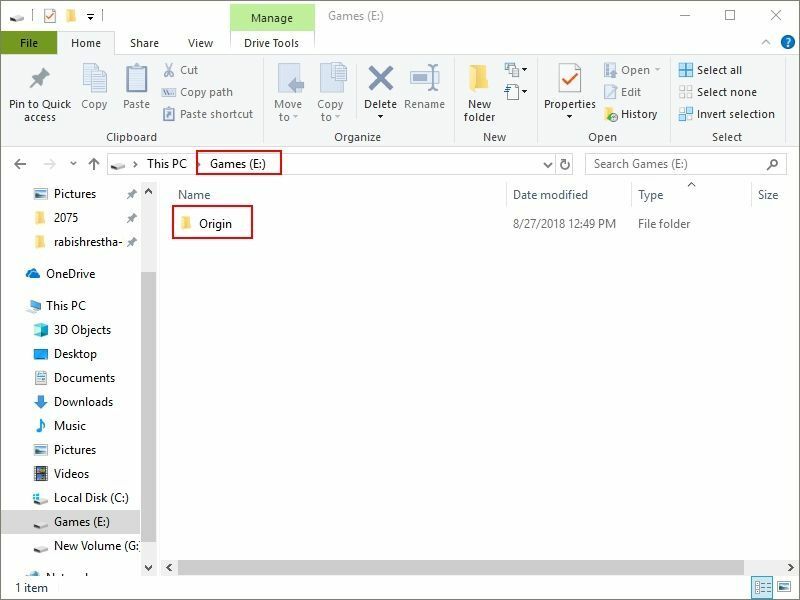 The issue can be fixed with a registry hack for the games and Origin. The steps below show how to do the same. 1. Note the directory where "Origin" is installed - here its "E:\Origin" (Figure 1). 2. 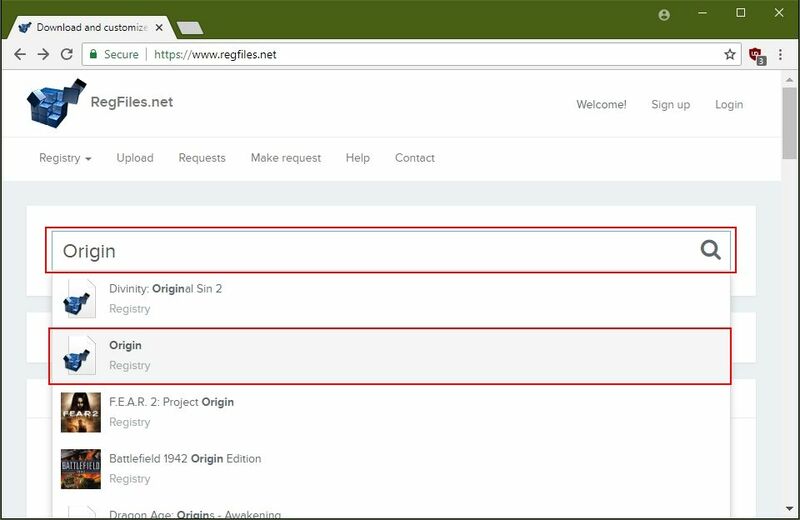 Go to https://www.regfiles.net/ and search for "Origin" and click the link for it (Figure 2). 3. 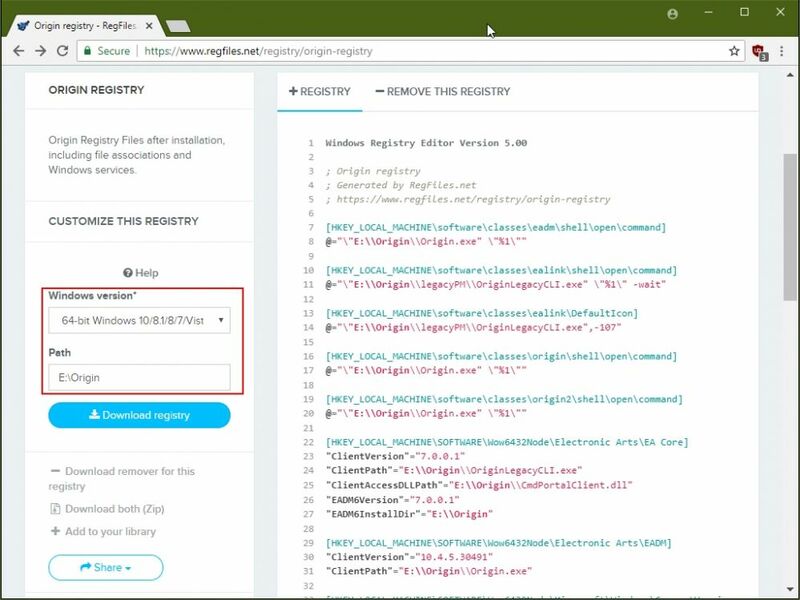 Then, on the left "Customize this registry" sidebar, change "Windows version" to "64 Bit Windows 10/8.1/8/7/Vista/XP" and enter the "Origin" directory in the "Path" field (Figure 3). 4. Press "Tab" key on the keyboard once, it will change the registry on the right. Now, click "Download registry" button to download the registry (Figure 4). 5. 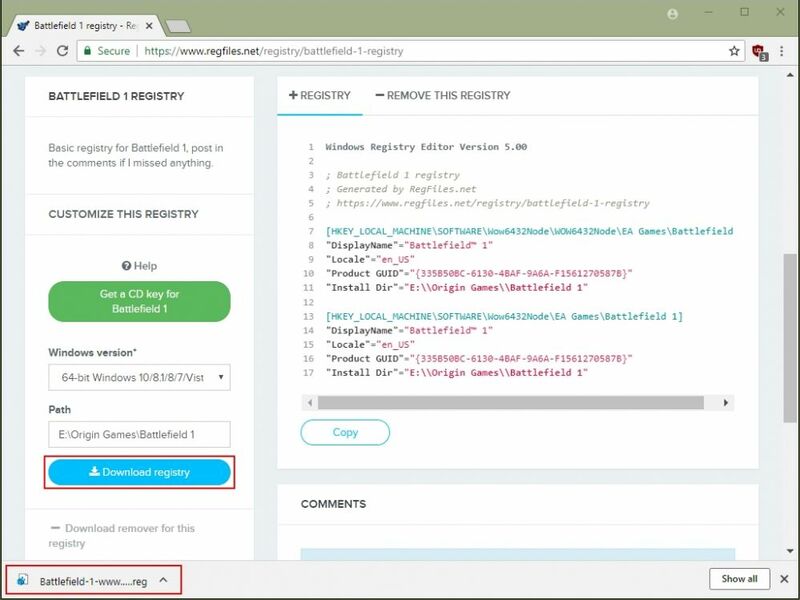 Copy the registry to the location where Origin is installed (Figure 5). 6. Boot your client PC in super client mode, then double click the registry file from its location and click "Yes" on the prompt dialog box (Figure 6). 7. Click on "Yes" button again to merge the registry to the Windows (Figure 7). 8. 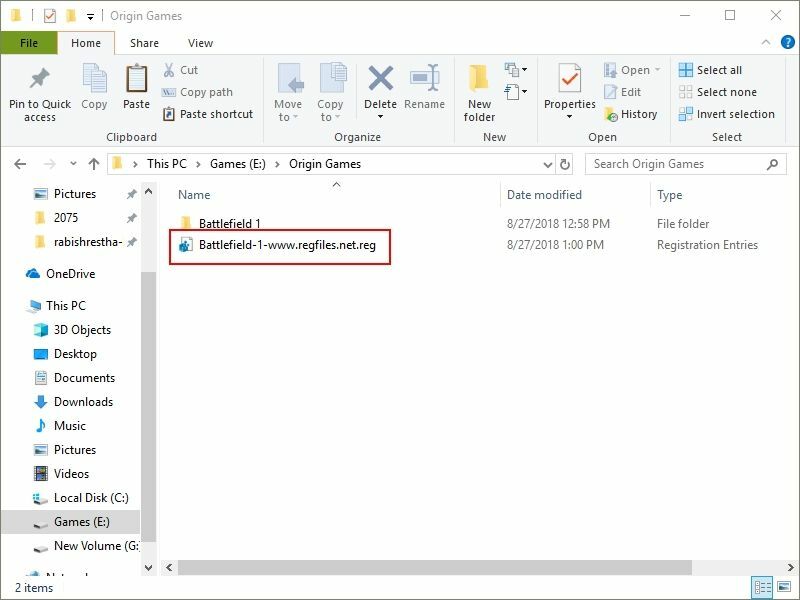 Now, let us do the same for "Battlefield 1" installed on "E:\Origin Games\Battlefield 1" folder (Figure 8). 9. 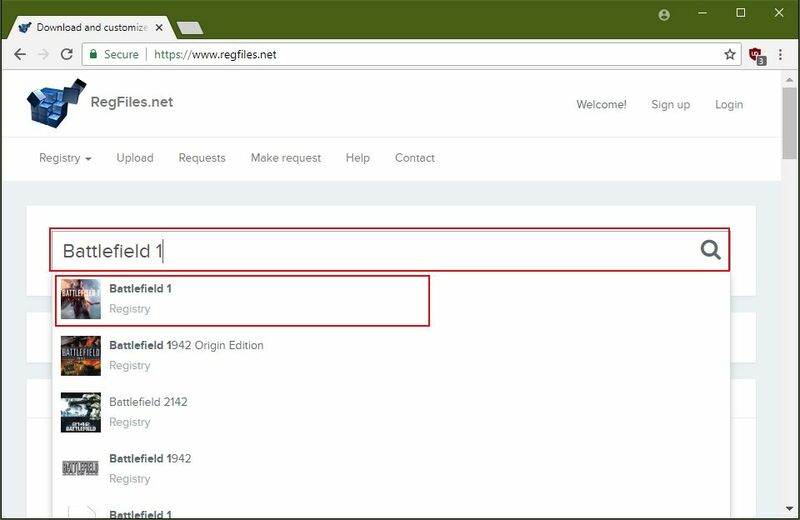 Again, go to https://www.regfiles.net/ and search for "Battlefield 1" and click the link for it (Figure 9). 10. 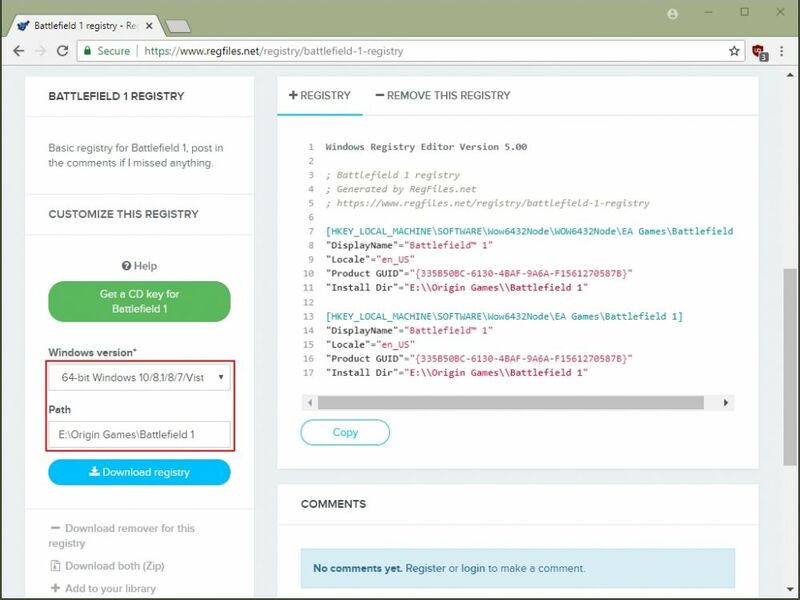 Now, on the left "Customize this registry" sidebar, change "Windows version" to "64 Bit Windows 10/8.1/8/7/Vista/XP" and enter the "Battlefield 1" directory in the "Path" field (Figure 10). 11. Press "Tab" key on the keyboard once, it will change the registry on the right. 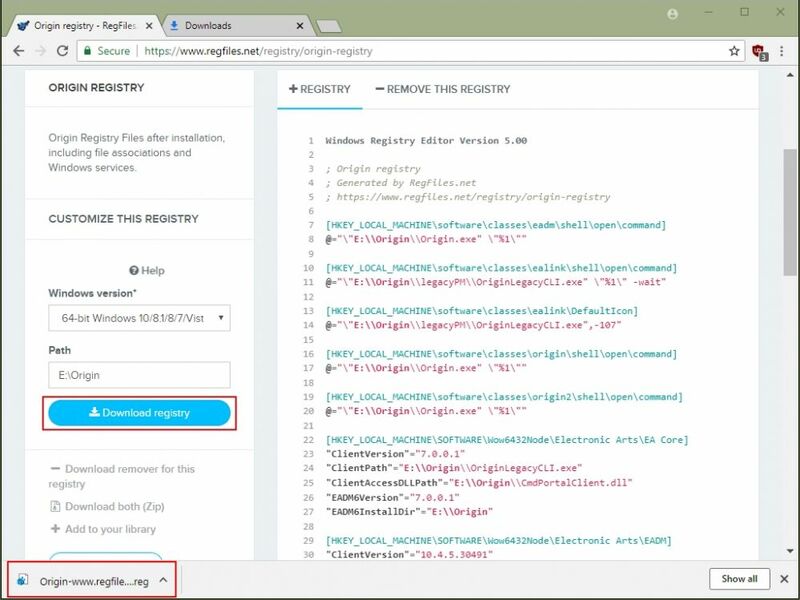 Now, click "Download registry" button to download the registry (Figure 11). 13. Double click the registry file from its location and click "Yes" on the prompt dialog box (Figure 13). 14. Click on "Yes" button again to merge the registry to the Windows (Figure 14). 15. 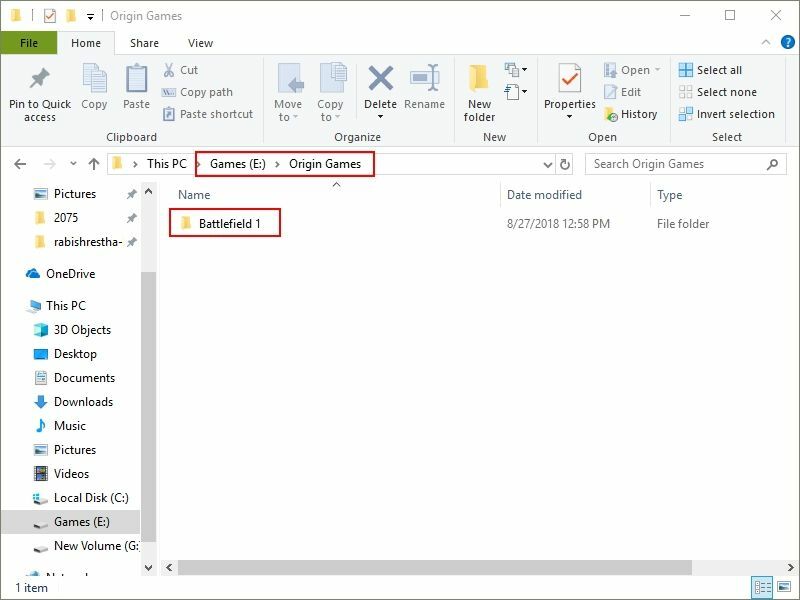 Now, login to "Origin" with your account and check the game, it will show "Launch" instead of "Download". 16. 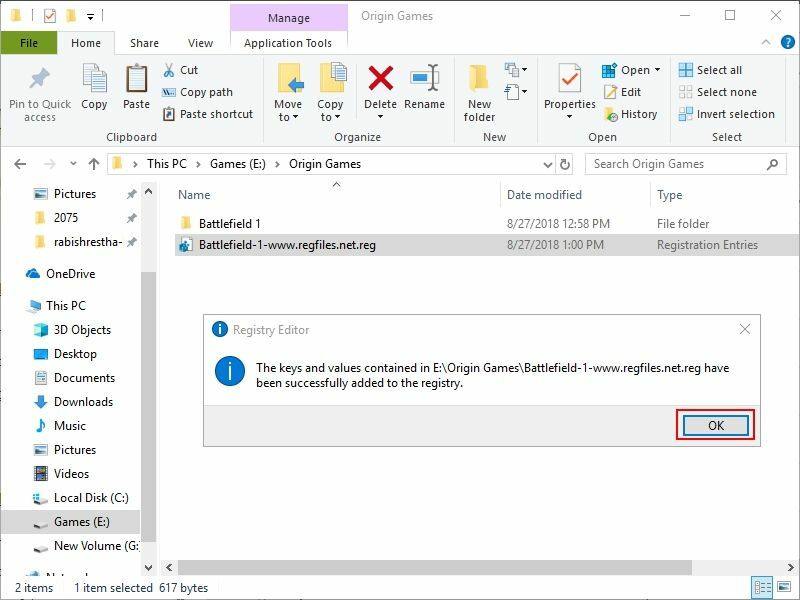 You can use this process for most of the origin games that are listed in the given website. If a game is not on the website then you need to acquire the registry file from the Registry Editor manually.